As a young teenage kid I had two major crushes. 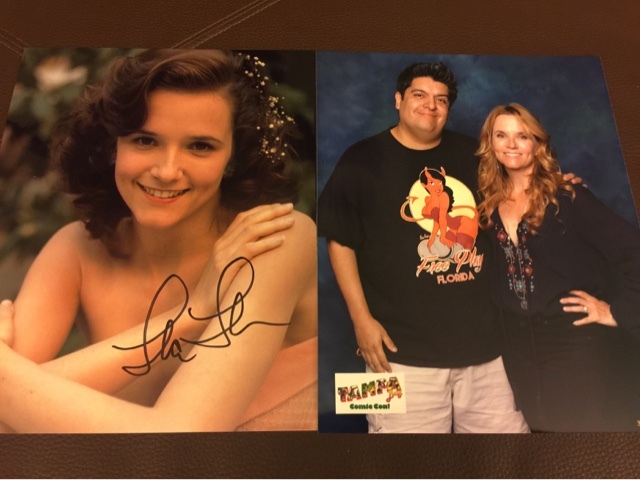 Girl Next Door Sandy from Grease, and Lea Thompson. Particularly Back to the Future Lea. So today I got to meet the girl of my teenage dreams lol. She hasn't aged a bit. And while I found the TRUE woman of my dreams and married her, I still couldn't help but tell her, "Teenage me would be so jealous of current day me right now." She gave a genuine laugh, leaned on my shoulder and then gave me a hug. This was one of those rare moments where meeting your heroes/crushes turned out pretty damn good!